For a quality exterminator in Lake Oswego, speak to The Killers. In the last 30 years, we’ve been proud to exterminate pests for the residents of Lake Oswego. In that time we’ve truly become a part of the community. That camaraderie inspires our exterminators every time they go on the job. We’re making sure the workplaces and homes of our neighbors are pest free and receive care from some of the industry’s best exterminators. Being an exterminator for us means more because we do more. With a vast knowledge that covers every pest in the Northwest, there’s nothing we haven’t encountered, and nothing we can’t exterminate. 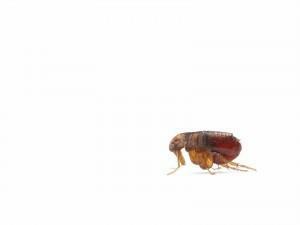 A great exterminator can handle any job, whether they’re dealing with a bedbug infestation in a residential complex or a rodent infestation in a commercially run warehouse. Our exterminators are some of the best, and they’re always prepared to handle whatever the job might bring. 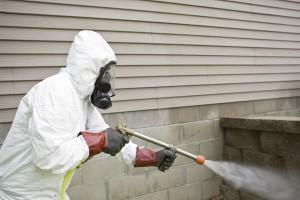 When you call us, you get a highly skilled exterminator at your door. Pest infestations have multiple areas that need to be addressed, and these aren’t always so cut and dry. Many different pests cause similar damages, and even species of the same pests can exhibit unique patterns and behaviors. It takes the keen eyes and knowledge of an experienced exterminator to spot the difference and identify where your pest entered the premises. These will need to be closed to help prevent future infestations. A Killers exterminator is also skilled at identifying currently inhabited areas as well as nesting areas. This helps them determine where treatments will be most effective. We want you to be as informed as possible, and that means a comprehensive discussion of inspection findings. We believe your inspection shouldn’t be held for ransom. An inspection is free, and when we discuss the results with you, we encourage questions and are happy to answer any you may have. Pests are even more stressful when you don’t have all the facts, so we’re glad to fill in all the informational gaps. Call (503) 534-1228 or contact us today for an exterminator in Lake Oswego. Albany, Beaverton, Canby, Clackamas, Corvallis, Gresham, Lincoln City, McMinnville, Milwaukie, Newberg, Newport, Oregon City, Portland, Salem, Sherwood, Tualatin, Vancouver WA, West Linn, Wilsonville, Woodburn and more!